Last week I made Tomato and Herb Soup for my family. I don’t like plain tomato soup, so I always add lots of herbs to the soup to give it more flavor. On this occasion, I added lots of Italian herbs and my kids said that it tasted like Pizza Soup. That got me thinking about adding pizza toppings to my a tomato soup to intentionally make Pizza Soup. The next time I made tomato soup, I added mini pepperonis, diced mushrooms, peppers, and then topped it with cheese. The Pizza Soup was a huge hit with my family! My daughter’s said, “who needs crust?” Since it was so easy to make and comes together so quickly, I will be making this on hectic nights instead of ordering pizza. This recipe is very flexible; make your own variation by using your family’s pizza toppings. In a medium saucepan, heat olive oil and saute onions until golden, about 5 minutes. Add cornstarch and spices. Stir until cornstarch is absorbed and lump-free. Slowly add milk, stirring constantly. Add tomatoes, tomato sauce, and sugar. Heat just to boiling. Simmer for 5 minutes. Use an immersion blender or carefully ladle the soup into a blender and blend until the soup is smooth and creamy. Add the pepperonis, mushrooms, and peppers to the soup. Heat until warmed through. Spoon soup into bowls. Top with cheese and green onions. If you want to add grilled cheese sandwiches to the meal, try this recipe for Grilled Cheese Sandwiches. Alea Milham shares her tips for saving money and time while reducing waste in her home at Premeditated Leftovers. Her favorite hobby, gardening, is a frugal source of organic produce for her recipes. 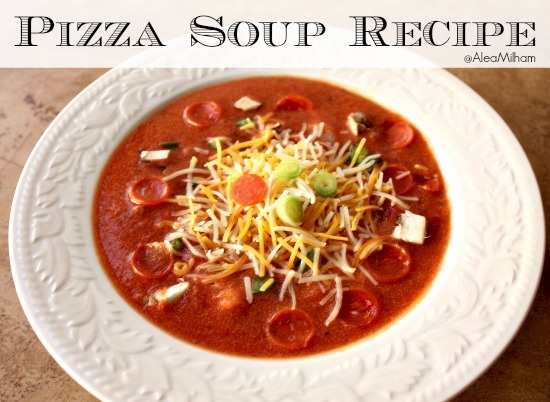 Have you ever had Pizza Soup? 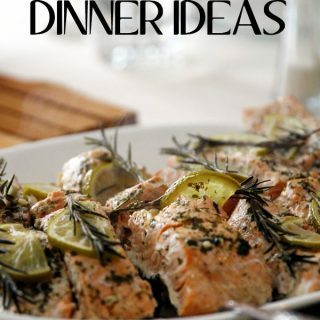 Get more family recipes here!